Send this Butterscotch Fresh cream cake without Cooling to your favorites ones and surprise them and make the day happy. If you want to make a special day unforgettable, select our Traditional Tier Cake. The Traditional Tier Cake is a 10 kg Four Tier cake made Especially for grand events and what can be grander then a special day in the life of your loved one. 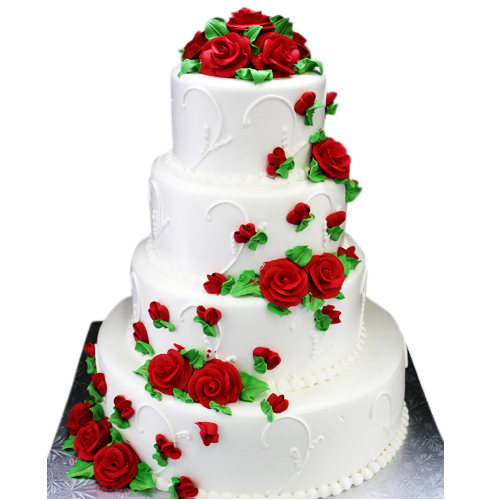 Be it birthday or anniversary, engagement party or wedding day; send cake online to double the joy of your loved one. If you want any flavor other than Butterscotch (Except Chocolate / Blackforest ) ,You can specify in special instruction box step-3 and Image may vary according to the Flavor.